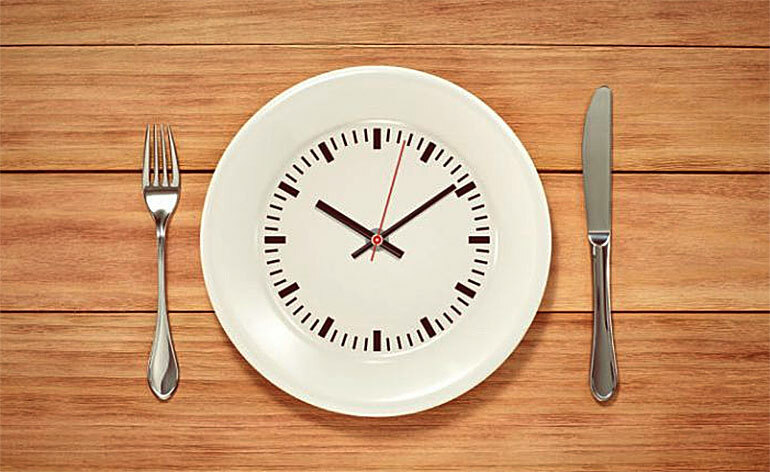 Home » Diet » Intermittent Fasting: Diet Fad or Secret Key to Health? 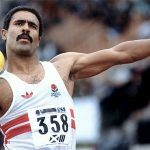 You may have heard the term ‘intermittent fasting’ popping up in the media recently, it’s an eating method that has become increasingly popular among athletes and dieters alike. Over the past few months I have been researching intermittent fasting, how it works, its benefits, who is doing it, and I’ve even tried it myself! Here I am going to tell you all I know about the new eating trend on the block, so…Intermittent Fasting: Diet Fad or Secret Key to Health? Intermittent Fasting (IF) is basically a prolonged duration between meals. It is not eating less, cutting calories or depriving yourself of any of your usual foods. Most people who practice IF see it as more of a lifestyle change than a diet, its sole purpose is not weight-loss, but rather healing and restoring balance within the body. There are multiple ways to practice intermittent fasting depending on your personal preference and lifestyle. The most common seems to be the 8 hour window method where one simply consumes all food within an 8 hour time slot. Typically, individuals doing this method delay breakfast by a few hours (say 11am), followed by a big dinner a few hours later (say 4pm) and possibly another small meal before the eating window closes (say 6pm). It is important to eat lots at these two (or three) meals to meet your calorie requirements. With many of us associating fasting with starvation and poor nutrition, it may come as a shock to you that IF is a popular choice among bodybuilders. Yes you read correctly! The even some of the planet’s most muscular are jumping on board with IF and using it to enhance their performance and muscle building abilities. One example is Lean Gains (aka Martin Berkhan) a nutritional consultant and personal trainer, who uses IF himself and recommends it to clients both as a weight-loss and muscle building technique. Lean Gains debunks the myth that fasting is counter-productive for muscle building on his website Lean Gains. It makes sense if you think about it, our ancestors years ago wouldn’t have had three meals a day and filled their faces with snacks every hour or so, neither do animals actually. Due to the limited availability of food they would have gone for prolonged periods of time, whether it be hours or even a day, between meals. Today we have food so readily available to us that we could fill our stomachs every minute or hour of the day if we chose to! This brings me to question if it’s even healthy to constantly bombard our bodies with food, or could it in fact be fuelling illness and bodily imbalances? Is it a coincidence that when we are ill we don’t want to eat? Instead our bodies often demand abstinence from food in order to recover. It’s been suggested by many that this is because the body wants to use its own internal resources and subtle life energy to focus on healing itself (autophagy) and its ability to do so is greatly diminished when simultaneously expending valuable energy on the digestive mechanism and process! I have noticed that when researching people’s experiences with IF, improved energy levels was a recurring theme. Georgie, bikini competitor and mum of two (from Vegan Family TV) tells us in a YouTube video that since practising IF she feels more alert and able to focus on her daily tasks. Georgie goes on to talk about the science behind this energy surge, which in layman’s terms is due to special hormones that are released during the fasted state. Many people, especially females, claim that IF has helped to rebalance the hormonal state of their body. One explanation I have found for this is due to the fact that when you are constantly eating you are constantly spiking your insulin levels (insulin is a very sensitive hormone, whose level if tampered with even slightly can wreak havoc on the body). IF can reduce insulin resistance, lowering the risk of Type 2 Diabetes. By not constantly exposing your teeth to food particles you significantly reduce the amount of bacteria sitting on your teeth, and therefore reduce the risk of plaque buildup and tooth decay. So now you know a bit more about this mysterious thing called Intermittent Fasting that everyone keeps talking about. I am not saying it is a method that will suit everyone, but we can agree that it certainly carries benefits of its own! 5 Powerful Quotes from Inspirational Athletes! 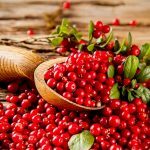 Top 5 Health Benefits of Cranberries! Top 5 Health Benefits of Guava!